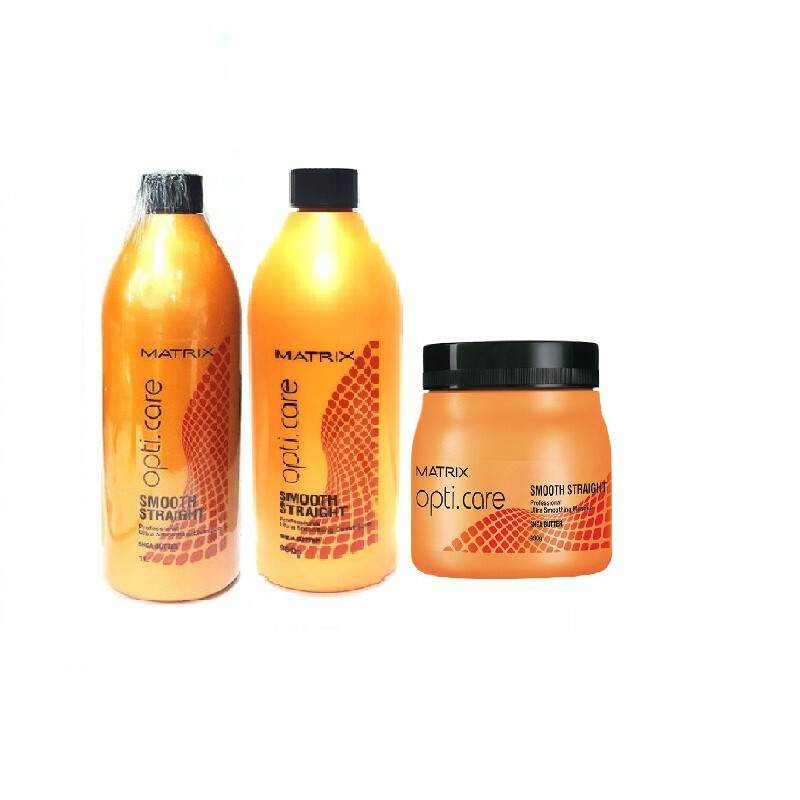 Matrix Opti Care Smooth straight Shampoo is an effective treatment that restore and softens chemically straightened hair.Makes your hair smooth straight and soft because its washes off the harmful effects of chemicals from your hair, leaving it clean and healthy. Enriched with natural ingredients, it nourishes damaged hair and allows it to retain moisture, giving a healthy, glossy look to your hair. Matrix Smooth Straight Conditioner provides your hair with extensive conditioning and protects it against damage resulting from heat styling and other factors.Matrix Professional Ultra Smoothing Masque controls the volume of your hair, strengthening it from the roots in the process. Shiny, soft and give you smoother, shinier and softer hair over time.